The San Diego Padres will conduct "Military Opening Day" and their first KidsFest of the 2018 season at Sunday's game against the San Francisco Giants at Petco Park. 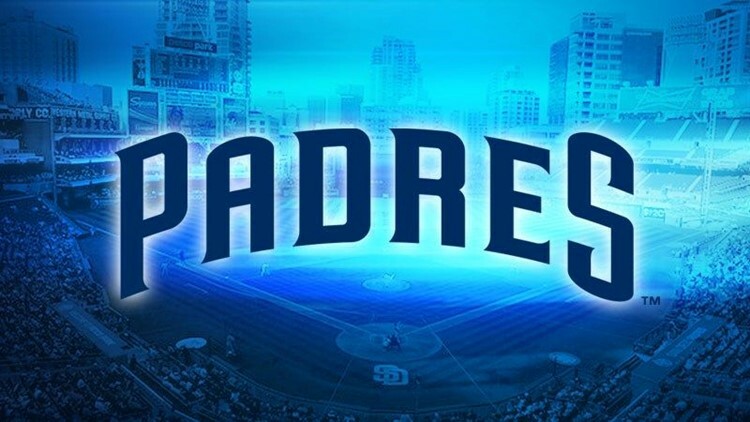 SAN DIEGO (NEWS 8/AP) — The San Diego Padres conducted their "Military Opening Day" at Sunday's game against the San Francisco Giants at Petco Park - and pulled off a win. Pregame ceremonies included 100 representatives from each branch of the armed services lining the base paths; 50 state flags were presented by Marines stationed at Marine Corps Recruit Depot San Diego and retired Marine Corps Col. John P. Farnam rang the ceremonial Mission Bell. There was also a presentation by the U.S. Navy Parachute Team, the Leap Frogs, and a flyover conducted by two U.S. Navy helicopters from Naval Air Station North Island. The ceremonial first pitch was thrown by Maggie Coleman, widow of longtime Padres broadcaster Jerry Coleman. Jerry Coleman was a Marine Corps pilot in World War II and the Korean War, rising to the rank of lieutenant colonel. The national anthem was performed by U.S. Coast Guard Petty Officer Mike Dalager, who also performed "God Bless America" between halves of the seventh inning. During the game, Joey Lucchesi struck out nine in six innings, fellow rookie Christian Villanueva homered, doubled and drove in three runs, and the San Diego Padres cruised past San Francisco 10-1 to beat the Giants for the third straight game.